We are a family-owned-and-operated company based in Southern California. For nearly 30 years, we have been making bags to help clean up messes. In 2016, the arrival of our fourth-generation employee (and first baby since 1993) reminded us how our bags can help make the lives of parents easier and cleaner. 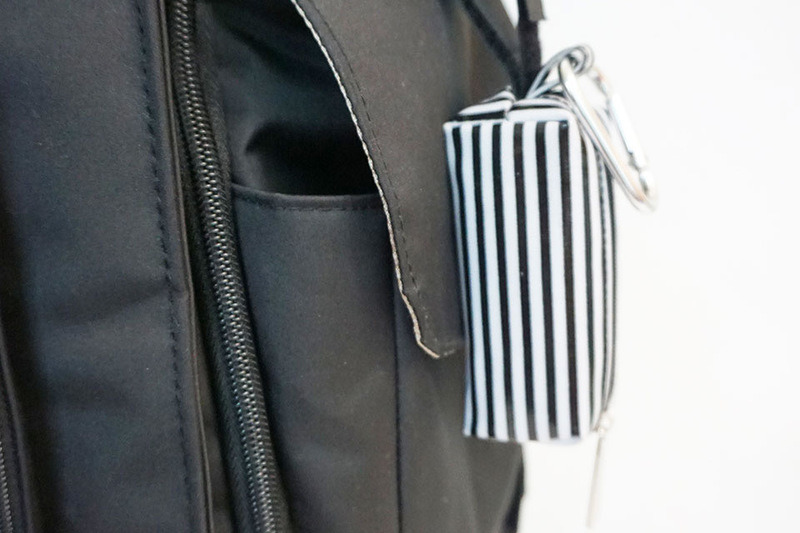 All products are designed to be the perfect addition to diaper bags and changing tables. Our family business really is a family: a husband and wife team (now grandpa and grandma), their three children, grandson, and extended family and friends. We are proud to employ developmentally disabled students and adults from local programs. Our whole family thanks you for supporting our small business. One of the first things people ask us is whether our bags are environmentally friendly. The answer is “YES”! Our bags are 100% degradable. But how does that work? During the bag construction process, an additive is combined with the recycled plastics to help them break down after they are discarded. Want to see for yourself? Leave a bag outside in direct sunlight. After a few days, the bag will decompose. The State of California has very strict rules about how you describe biodegradable features on your packaging, which is important for where the bags will end up after they are thrown away. To avoid potential conflicts, we chose not to write it on our products, but are proud to state here that we have worked hard to make an environmentally responsible product. Follow us on social media to learn about sales, new products, tips, and much more!